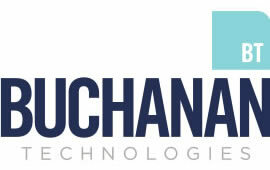 Buchanan Technologies is a privately-held technology services corporation that has been helping its clients’ successfully navigate the tremendous shifts in enterprise technology for more than three decades. Operating globally, Buchanan offers end-to-end cutting edge solutions for businesses of any size. Whatever your IT needs include, Buchanan Technologies will build it, run it month to month, or help hire the talent needed to get the job done. When it came time to integrate and expand their Microsoft Office 360 solutions into the Canadian landscape, Buchanan Technologies turned to MediaTown for guidance. MediaTown was charged with creating comprehensive outreach marketing campaigns focused on overcoming the restrictions put in place by the 2014 Canadian Anti-Spam Law (CASL). Today, Buchanan Technologies is a key player, in the Canadian Microsoft Office 360 market. With exceptional re-marketing, and comprehensive digital strategies in place, Buchanan experienced substantial growth in Canada, all in compliance with CASL law. Buchanan continues to return to MediaTown for continuous work and support on their Inbound Advertising and Social Media marketing campaigns, and drive more, long-term growth.